Former employee of Bonduelle, volunteer for the Aponh project in Cameroon. 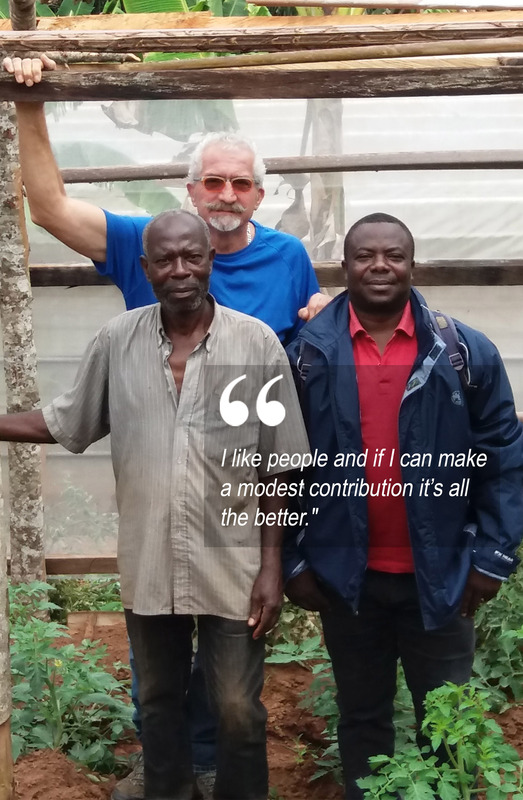 Launched by the IECD in 2014 in partnership with the Bonduelle group, the APONH project accompanies the economic development of the western region of Cameroon by supporting the activity of farmers. It covers three areas: training for farmers, the development of the commercial sector, and participation in the region’s social development. Rémy Vaillot, the former Head of Agricultural Research and Development with Bonduelle is now a volunteer for the APONH project. About 15 people from different professions have worked with the IECD on this federative project. « When a former colleague told me about the APONH project, I immediately offered my services. I am a very inquisitive person and I traveled a great deal with my work. I come from a large family and lived in a working-class town. Solidarity was the most important thing. Therefore, the idea interested me immediately. I was paid to work for 40 years and now it is time for me to give something back! It offers me a great deal: I like people, meeting them, and seeing how they live. And if I can make my own modest contribution, it’s all the better! Bonduelle has created a community around the APONH project: the “Aponheurs”. Every month, a management committee is organized with the IECD and Bonduelle’s employees. We greatly appreciate the way in which the IECD interacts with the company: we don’t just invest money, there is also a great deal of human involvement. There is a genuine wish to make the project work and to obtain results.